We are expecting a gorgeous weekend and what better way to enjoy it than to spend time in the cities, towns and villages of the 88th Assembly District. There are plenty of concerts, lectures, dinners and family events with something to interest just about everyone. The Scarsdale Forum will have its Public Forum and Annual Meeting at 7:30 p.m. in the Scarsdale Library (54 Olmstead Road, Scarsdale). Visit scarsdaleforum.com for more information. New York Times editorial board member and foreign affairs expert Carol Giacomo will speak at The Bronxville Library (201 Pondfield Road, Bronxville) about “The Challenge of Iran” from 7-8:30 p.m. Visit bronxvilleadultschool.org for more information. Gabe’s Royal Barbeque Cook-off and Customer Appreciation Night will take place at Leibert’s Royal Green Appliance (228 East Post Road, White Plains) from 5:30-8 p.m. There will be raffles, silent auctions and plenty of barbequed food as grill masters vie for the top prize. Visit leiberts.com for more information. ults”, a potluck dinner, at 7 p.m. Visit tinr.org for more information. The George Coleman Octet will perform at Alvin & Friends Restaurant (14 Memorial Highway, New Rochelle) from 7-10 p.m. Visit alvinandfriendsrestaurant.com for more information. 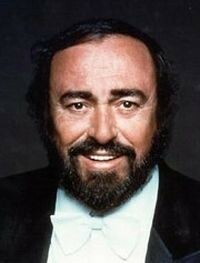 The Westchester Italian Cultural Center (One Generoso Pope Place, Tuckahoe) will host “A Voice for All Time: Luciano Pavarotti” at 7 p.m. Visit wiccny.org for more information. The Hoff-Barthelson Music School (25 School Lane, Scarsdale) will continue hosting its 28th annual Contemporary Music Festival with a weeklong celebration. Faculty and student soloists and ensembles will perform in recitals at 6:15 and 8 p.m. on Thursday and Friday and at 2, 4 and 8 p.m. on Saturday. Visit hbms.org for more information. The Westchester Community College (75 Grasslands Road, Valhalla) Friday Night Film Series continues with a presentation of “Remember”, a contemporary film about a man named Zev who discovers the Nazi guard that murdered his family is living under an assumed name in the United States. The film starts at 7:45. Call Bob Bruckenthal at 914-723-3186 for more information. The St. Paul’s Church and National Historic Site (897 South Columbus Avenue, Mount Vernon) will host a jazz trumpet session at 3 p.m. Trumpeter Mark Morganelli will perform jazz standards and Brazilian selections. Visit nps.gov/sapa for more information. The Bartow-Pell Mansion Museum (895 Shore Road, Pelham Bay Park) will host “A Taste of Honey” from 7-8:30 p.m. New York City beekeeper Ruth Harrigan will discuss bees and provide local samples of honey. Visit bartowpellmansionmuseum.org for more information. The Bronxville Women’s Club (135 Midland Avenue, Bronxville) will host Nicole Alifante, Marc Shulman and Odane Whilby at 8 p.m. as part of its Coffeehouse Music Series. Visit bronxvillewomensclub.org for more information. The League of Women Voters of Scarsdale will host its annual meeting and luncheon at The Scarsdale Golf Club (Club Way, Hartsdale) at 11:45 a.m. Columbia University journalism professor William Grueskin will speak about real news, alternative facts and journalism’s future. Visit lwvs.org for more information. Shaarei Tikvah (46 Fox Meadow Road, Scarsdale) will host Dr. Efraim Chalamish as part of its Scholar-in Residence Shabbat. Services will begin at 6 p.m. followed by dinner and a 7:30 p.m. lecture on “The State of U.S.-Israel Relations: Politics and Economics”. A dessert reception will follow the lecture. There will be a Kiddush luncheon on Saturday preceding a 12:30 p.m. lecture about “The Chinese Revolution: What Jews and Israel Have to do With It”. Visit shaareitikvah.org for more information. 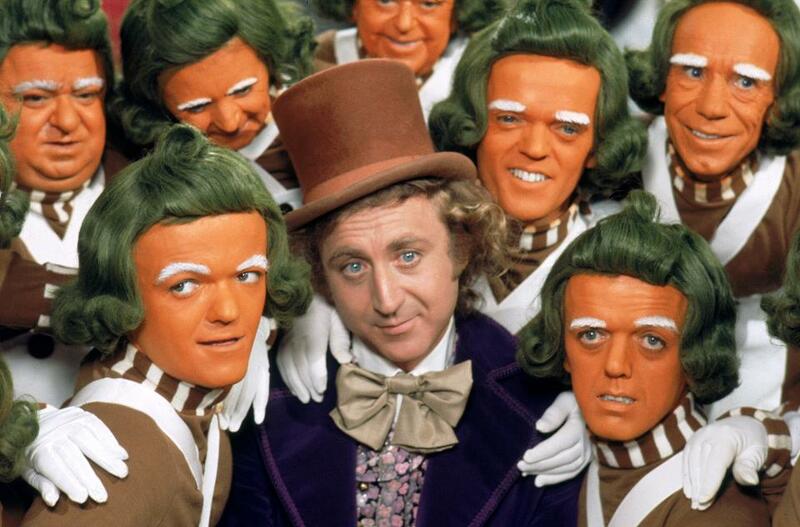 The Scarsdale High School (3 Brewster Road, Scarsdale) presentation of Willy Wonka will take place at 7:30 p.m. on Friday and Saturday and then again on Sunday at 2 p.m. Visit eventbrite.com/e/willy-wonka-tickets-34039955423 for more information. The Scarsdale Library (54 Olmstead Road, Scarsdale) will host “A Panel on Academic Stress” at 10 a.m. The discussion will focus on research and offer parents tools that they and their children can use to cope with stress. Visit scarsdalelibrary.org for more information. 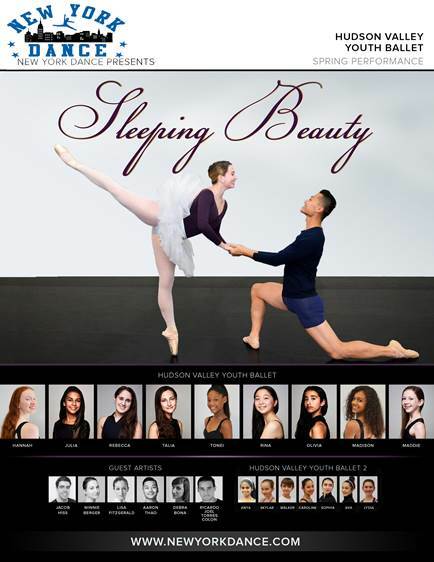 The White Plains Performing Arts Center (11 City Place, White Plains) will present The Hudson Valley Youth Ballet Gala’s production of Sleeping Beauty at 7:30 p.m. Visit wppac.com for more information. The Concordia Conservatory (171 White Plains Road, Bronxville) will host “Hear It Live: A Composer’s Concert” in the Sommer Center at 7:30 p.m. Visit concordia-ny.edu for more information. The Family Christian Center (592 Main Street, New Rochelle) will host a Karaoke Night at 7 p.m. Visit fccnr.com for more information. The Pelham Arts Center will present its inaugural “Public Arts in the Park” in Wolfs Lane Park (Wolfs Lane, Pelham) beginning with a 4 p.m. reception. Visit pelhamartcenter.org for more information. The Rocky Middleton Trio will perform at Alvin & Friends Restaurant (14 Memorial Highway, New Rochelle) from 7-10:30 p.m. Visit alvinandfriendsrestaurant.com for more information. The Music Conservatory of Westchester (216 Central Avenue, White Plains) will host “A Celebration of the Piano: A Faculty Concert” at 7 p.m. Visit musicconservatory.org for more information. ArtsWestchester (31 Mamaroneck Avenue, White Plains) will host ArtsBash from 6-9 p.m. There will be wine tastings, food samples from local restaurants, open artist studios and more. Visit artswestchester.org for more information. The New Rochelle League of Women Voters will host “Coffee and Conversation” at the New Rochelle Library (1 Library Plaza, New Rochelle) at 9:30 a.m. Visit nrpl.org for more information. The Scarsdale Arts Council will present “Rock the Dale” at Chase Park (32 Chase Road, Scarsdale) from 5-7 p.m. in an effort to make the arts more visible in Scarsdale, particularly within The Village Center and Village Green. There will be music, food and more. Contact ML Perlman at scarsdaleartscouncil@gmail.com for more information. The first annual Boys and Girls Club of New Rochelle Talent Show will take place at New Rochelle High School (265 Clove Road, New Rochelle) from 7-9 p.m. Tickets are available at the door. Call 914-235-3736 for more information. If you have some treasures at home and aren’t sure what they are worth, take them over to The Scarsdale Library (54 Olmstead Road, Scarsdale) from 1-3:30 p.m. and have Helaine Fendelman provide a free appraisal. Fendelman is a member of the Appraisers Association of America. Visit scarsdalelibrary.org for more information. The Hudson Park Children’s Greenhouse Fundraiser will be held at the home of Anthony and Carmen Paolercio (56 Woodcliff Road, New Rochelle) from 5-9 p.m. Write to HPCGreenhouse@gmail.com for more information. The Bartow-Pell Mansion Museum (895 Shore Road, Pelham Bay Park will host a pair of events. The Museum’s annual Plant Sale will take place from 10 a.m.-2 p.m. while Bartow’s Literary Elevenses will run from 10-11:30 a.m. Museum guides Laura DeRiggi and Caitlyn Sellar will head a historical fiction book club. Visit bartowpellmansionmuseum.org for more information. The Women’s Club of White Plains (305 Ridgeway, White Plains) will host its Spring Fashion Show and Holiday Luncheon at 11:30 a.m. Visit womansclubofwhiteplains.org for more information. The Scarsdale High School Garden Club’s annual Volunteer Appreciation Potluck Picnic and Workday will take place from 10 a.m.-3 p.m. at the high school garden (3 Brewster Road, Scarsdale). Contact Maggie Favretti, mfavretti@scarsdaleschools.org for more information. Tribute artists Michael Dutra and Gailynn Addis will assume the identities of Frank Sinatra and Liza Minnelli for a 7 p.m. performance of Frank and Liza: Together Again. Visit wppac.com for more information. The fifth annual New Rochelle Kite Day will take place at Davenport Park (300 Davenport Avenue, New Rochelle) at 11 a.m. There will be food, music, games and more. Visit newrochelleny.com for more information. The Community Unitarian Universalist Congregation (468 Rosedale Avenue, White Plains) will host Jazz Fest featuring jazz legend Valerie Capers at 8 p.m. Visit cucwp.org for more information. GirlAgain (4 Martine Avenue, White Plains) will host “Maryellen’s Poodle Skirt Workshop” from 11 a.m.-noon. Craft a poodle skirt for your dolls in true sock-hop fashion. Visit girlagain.com for more information. The Chamber Music Festival – Kiss The Stars Goodnight will take place at Concordia College’s Sommer Center (171 White Plains Road, Bronxville) at 7 p.m. Visit concordia-ny.edu for more information. White Plains Comic Con will take place at The White Plains City Center (5 City Place, White Plains) from 11 a.m.-5 p.m. Visit wpcomicon.com for more information. The Peter Hand Trio will perform at Alvin & Friends Restaurant (14 Memorial Highway, New Rochelle) from 7:30-11 p.m. Visit alvinandfriendsrestaurant.com for more information. The Beth-El Synagogue Center (1324 North Avenue, New Rochelle) will continue its 31st annual Spring Film Festival Dinner-Theatre with a showing of “City Hall” starring Al Pacino, at 6:30 p.m. Visit bethelnr.org for more information. The Soul Cycle Charity Ride in support of the Junior League of Central Westchester (7 Popham Road, Scarsdale) from 10:45-11:45 a.m. Visit jlcw.org for more information. The Hoff-Barthelson Music School (25 School Lane, Scarsdale) will continue hosting its 28th annual Contemporary Music Festival with a weeklong celebration. There will be an HB Compose Yourself! Project Recital at 6 p.m. Visit hbms.org for more information. The St. Thomas Orchestra Spring Concert will take place at White Plains High School (550 North Street, New Rochelle) from 7:30-9:30 p.m. Visit storchestra.org for more information. ArtsWestchester (31 Mamaroneck Avenue, White Plains) will host ArtsBash from 1-5 p.m. There will be children’s art activities, open artist studios, graffiti murals and more. Visit artswestchester.org for more information. The Bronxville Farmer’s Market will be open at Stone Place at Paxton Avenue from 8:30 a.m.-1 p.m. Visit bronxvilleframersmarket.com for more information. The F. Willa Davis Women’s Club annual luncheon will take place at 11:30 a.m. at Juliano’s Catering (700 Main Street, New Rochelle). The club was started in 1909. Contact Julia Robinson at 914-636-8193 for more information. The 2017 IFBB NY Pro Men’s and Women’s Bodybuilding Competition will take place at The Westchester County Center in White Plains from 10:30 a.m.-10 p.m. Visit countycenter.biz for more information. The Tuckahoe Library (71 Columbus Avenue, Tuckahoe) Book Club will meet at 11 a.m. to discuss “The Japanese Lover” by Isabelle Allende. Visit tuckahoe.com/library for more information. The Bronxville Library (201 Pondfield Road, Bronxville) will host “Hidden Treasures of Korean Art and Modern Korea” at 11 a.m. Visit bronxvillelibrary.org for more information. The Westchester Community for Humanistic Judaism will present native New Yorker and historian Marty Schneit as he discusses “The Borscht Belt: An Illustrated Talk” from 2:30-4 p.m. at the Community Unitarian Universalist Congregation (468 Rosedale Avenue, White Plains). Visit wchj.org for more information. Bicycle Sunday will take place on the Bronx River Parkway from 10 a.m.-2 p.m. between the Westchester County Center in White Plains and Scarsdale Road in Yonkers. The 13.1 mile loop will be open to bikers and closed to car traffic. Visit westchestergov.com for more information. Yoel Magid will host “The Other Israelis” at The Westchester Reform Temple (255 Mamaroneck Road, Scarsdale) from 2-5 p.m. The discussion will focus on “The Human Resources Manager”, which is an adaption of the A.B. Yehosoua novel of the same name. Visit www.wrtemple.org for more information. The Bartow-Pell Mansion Museum (895 Shore Road, Pelham Bay Park) will host “Beyond The Oak Tree Treaty, Part 1” at 2 p.m. Grace Bulltail of the Montana Crow Indian Nation will perfrom traditional crow dances followed by a discussion. Visit bartowpellmansionmuseum.org for more information. The White Plains Performing Arts Center (11 City Place, White Plains) will present The Hudson Valley Youth Ballet Gala’s production of Sleeping Beauty at 3:30 p.m. Visit wppac.com for more information. The Eastchester Library (11 Oakridge Place, Eastchester) will host a 50th anniversary party at 1 p.m. There will be music, cake and much more. Visit eastchesterlibrary.org for more information. The Chabad Jewish Center’s Jewish Women’s Circle will hold an 11 a.m. “Garden Party for Women” at Terrace at the Avalon (125 Parkway Road, Bronxville). Esther Sternberg, the Director of the International Shabbat Lighting Campaign, will be the featured speaker. Visit jewishbronxville.com for more information. The Bronxville Library (201 Pondfield Road, Bronxville) will host Carlos Pavan as he performs a classical guitar recital featuring original works and music from Argentina at 3 p.m. Visit bronxvillelibrary.org for more information. Temple Israel of New Rochelle (1000 Pinebrook Boulevard, New Rochelle) will host a blood drive from 8:30 a.m.-12:30 p.m. Visit bethelnr.org/blooddrive for more information. The City of White Plains will host Big Truck Day at the Gedney Way Recycling Center (85 Gedney Way, White Plains) from 10 a.m.-2 p.m. There will be antique vehicles, brush chippers, stump grinders, aerial bucket trucks, rollers, pavers, street sweepers and more for kids to sit on and explore. Visit cityofwhiteplains.com for more information. The Hoff-Barthelson Music School’s 28th annual Contemporary Music Festival will conclude with a 7 p.m. concert by the Steven Snowden String Quartet at The Community Unitarian Universalist Congregation (468 Rosedale Avenue, White Plains). Visit hbms.org for more information. The chorale group Cantemus will perform a 2 p.m. concert at the New Rochelle Public Library (1 Library Plaza, New Rochelle). Visit nrpl.org for more information. The Steffi Nossen School of Dance will host its annual Children’s Shows at White Plains High School (550 North Avenue, White Plains) at 1 and 3 p.m. Visit steffinossen.org for more information. The Scarsdale-Hartsdale Interfaith Clergy Association will sponsor “Interfaith Voices Against Hate: A Celebration of Community” at Chase Park (32 Chase Road, Scarsdale) from 1-3 p.m. This will be a family friendly community event with food, music and more. Contact Rabbi Jonathan Blake at rabbiblake@gmail.com for more information. The calendar says summer won’t end for a few more weeks but now that our children have headed back to school it certainly feels as if fall has arrived. Celebrate the impending change of seasons in the cities, towns and villages of the 88th Assembly District, where there are movies, art shows, festivals and much more to make your weekend special. The And Jam Band will perform at noon in Renaissance Park (Mamaroneck Avenue and Main Street, White Plains) as part of the city’s Noon Day Concert series. Visit cityofwhiteplains.com for more information. The Scarsdale Women’s Club (37 Drake Road, Scarsdale) will hold a membership drive from 1-4 p.m. Visit scrasdalewomansclub.org for more information. The Picture House (175 Wolfs Lane, Pelham) will host Nina Kuscsik, George Hirsch and Dr. Norbert Sander as they discuss the film “Free To Run”, which will be shown at 6:30 p.m. Visit thepicturehouse.org for more information. The Holy Trinity Greek Orthodox Church (10 Mill Road, New Rochelle) will host its annual Greek Festival on Thursday (6-11 p.m.), Friday (6 p.m.-midnight) Saturday (2 p.m.-midnight) and Sunday (1-9 p.m.). There will be food, music, dancing, a flea market and much more. Visit htgocnr.org for more information. 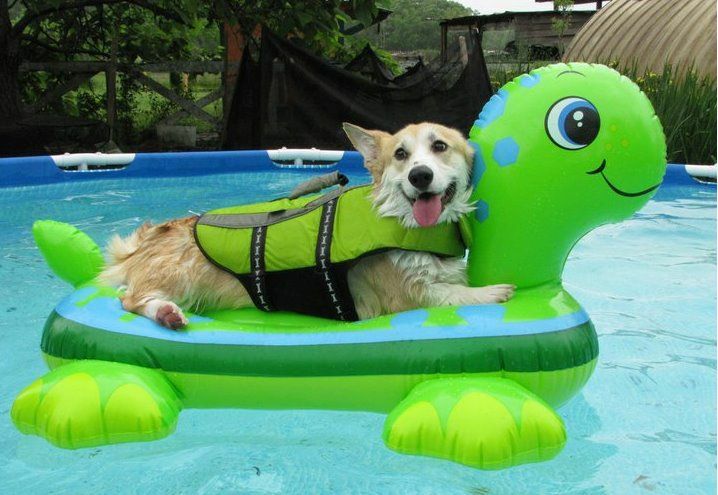 The City of White Plains will host “Dog Days” at Kittrell Pool from 5-7:30 p.m. All licensed dogs will get a chance to take a dip in the pool. Free to White Plains residents. Visit cityofwhiteplains.com for more information. Beer Noggin (102 Kraft Avenue, Bronxville) will host “We Want The Funk”, an opportunity to sample rare drafts, at 7 p.m. Visit beernoggin.com for more information. The Barbara Walters Gallery at Sarah Lawrence College (915 Kimball Avenue, Bronxville) will host an opening reception for the show “Light Energy” by Jill Viney from 5:30-7 p.m. Visit sarahlawrence.edu for more information. The Steffi Nossen School of Dance (216 Central Avenue, White Plains) has an open house for dancers of all ages and abilities from 4-7 p.m. Visit steffinossen.org for more information. ArtsWestchester (31 Mamaroneck Avenue, White Plains) will host a reception for “Visions 2016: Inner Thoughts, Outer Expressions” an exhibition featuring over 100 original works by artists who are recipients of mental health services in Westchester County, from 5:30-7 p.m. The exhibition will run through Sept. 15. Visit artswestchester.org for more information. The Bronxville Library (201 Pondfield Road, Bronxville) will be accepting donations for its ongoing book sale from 2-4 p.m. Visit bronxvillelibrary.org for more information. The New Rochelle Down To Earth Farmer’s Market will take place from 8:30 a.m.- 2 p.m. at Huguenot Park/Twin Lakes. Visit http://tinyurl.com/jsbomn4 for more information. The Scarsdale Library (54 Olmstead Road) Book Sale begins with a “Friends Preview” from 6-9 p.m. The regular sale will begin on Saturday at 9 a.m. and run through Sept. 13. A half-price and blowout sale will follow through Sept. 18. Westchester County, along with Volunteer New York and the New York Blood Center, will host a blood drive at the Westchester County Center in White Plains from 9 a.m.-4 p.m. Call (914) 995-2127 for more information or register as a blood donor at nybloodcenter.org. Beth-El Synagogue Center (1324 North Avenue, New Rochelle) will host “Sing Out Shabbat” at 6:30 p.m. for everyone of any age with a dinner reception to follow. Visit bethelnr.org for more information. The Pelham Arts Center (155 Fifth Avenue, Pelham) will host a free opening reception for its latest show “Constructing New Photographies from 6:30-8 p.m.
Caravaggio Visit pelhamartcenter.org for more information. 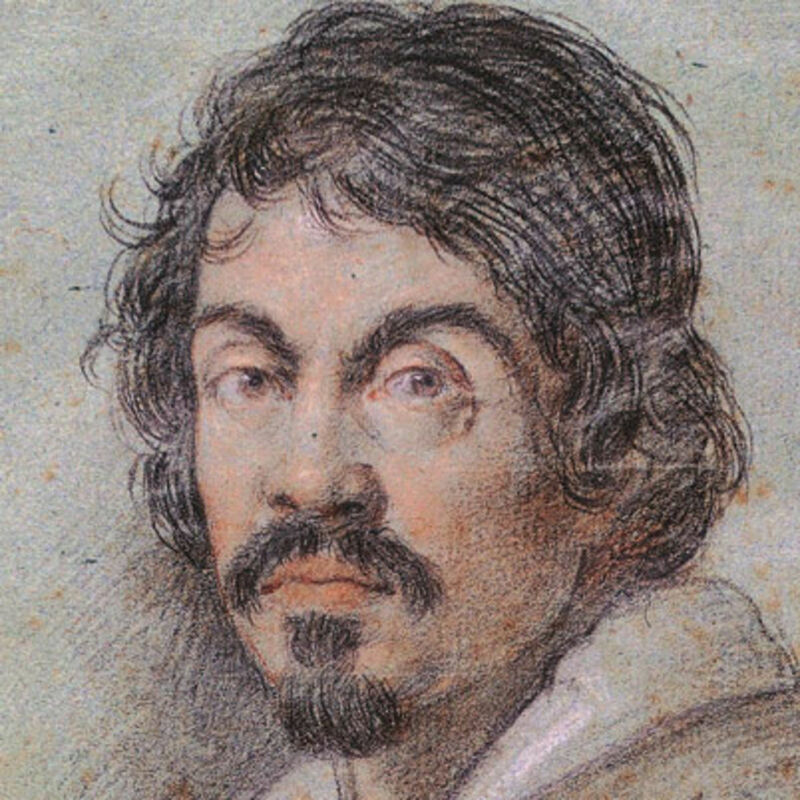 The Westchester Italian Cultural Center (24 Depot Square, Tuckahoe) will host lecture about the artist Caravaggio from 7-9 p.m. A light reception will follow. Visit wiccny.org for more information. The Hoff-Barthelson Music School (25 School Lane, Scarsdale) holds its Music and Movement Programs for young children from 10 a.m.-noon. Visit hbms.org for more information. The New Rochelle Public Library will hold a “Friends of the Library Major Book Sale” from 9 a.m.-3 p.m. on Friday and Saturday. Visit nrpl.org for more information. St. Paul’s Church and National Historic Site (897 S. Columbus Avenue, Mt. Vernon) will host New York University professor Mitchell Stephens as he discusses journalism and politics in American history in a program that begins at 1 p.m. Visit www.nps.gov/sapa for more information. The Scarsdale Student Education Transfer Plan will host a bake sale at the Scarsdale Library (54 Olmstead Road, Scarsdale) from 9:30 a.m.-noon. Volunteers are needed and donations are welcome. Visit signupgenius.com/go/20f094eaca929a2f94-bake1 for more information. The New Rochelle Downtown BID Grand Market will take place from 9 a.m.-2 p.m. on the New Rochelle Library Green. Visit newrochellegrandmarket.com for more information. The Bronxville Farmer’s Market will take place from 8:30 a.m.-1 p.m. at Stone Place and Paxton Avenue, Bronxville. Visit bronxvillefarmersmarket.com for more information. The Leslie Pintchik Trio will perform at Alvin & Friends Restaurants (14 Memorial Highway, New Rochelle) from 7:30-11 p.m. Visit alvinandfriendsrestaurant.com for more information. The Bartow-Pell Mansion Museum (895 Shore Road, Pelham Bay Park) will host “A Mansion and Cottage Trolley Tour” from 9:30 a.m.-3 p.m. 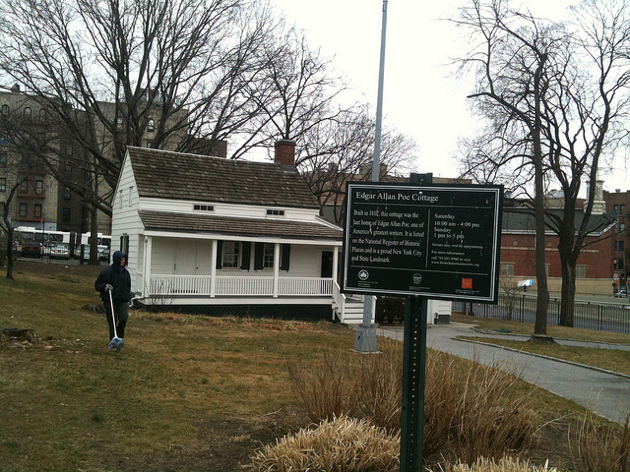 The tour includes stops at Wave Hill, Van Cortlandt House and the Edgar Allen Poe Cottage. It also includes lunch on Arthur Avenue. Visit bartowpellmansionmuseum.org for more information. The White Plains Performing Arts Center (11 City Place) will present “I Don’t Want To Know”, a family drama. Visit wppac.com for more information. The Music Conservatory of Westchester (216 Central Avenue, White Plains) will host an open house from 9 a.m.-1 p.m.. Visit musicconservatory.org for more information. The Family Christian Center (592 Main Street, New Rochelle) will host “A Women of Integrity Meeting” from 10 a.m.-noon. Visit fccnr.com for more information. The Scarsdale Recreation Department will sponsor its third annual Youth Sports Kickoff Party from 10 a.m.- 1p.m. at Crossway Field (320 Mamaroneck Avenue, Scarsdale). Football, basketball, soccer, tennis and softball will be highlighted. There will also be music, food and other games. Visit scarsdale.com/recreation for more information. The Tuckahoe Farmer’s Market will take place from 10 a.m.-4 p.m. in Depot Square, Tuckahoe. Visit tuckahoe.com for more information. Alvin & Friends Restaurant (14 Memorial Highway, New Rochelle) will host “Sunday Jazz Brunch” beginning at 11:30 a.m. There will be live music and an extensive menu. Visit alvinandfriendsrestaurant.com for more information. The Bronxville Women’s Club (135 Midland Avenue, Bronxville) will present “Furs and Feathers”, an exhibition of works by Raymond Sahtila from 2-5 p.m. Visit bronxvillewomensclub.org for more information. The Woman’s Club of White Plains (305 Ridgeway, White Plains) will host a community open house from 2-4 p.m. as part of its 100th anniversary celebration. Visit womansclubofwhiteplains.org for more information. The Reptile Expo will take place at the Westchester County Center from 10 a.m.-4 p.m. There will be thousands of pet reptiles for sale and on display. Visit reptileexpo.com for more information. The Westchester Jewish Community Services (845 North Broadway, White Plains) will be sorting children’s clothes by gender, size and item to pack “Bags of Love” from 10 a.m.-12:30 p.m. Volunteers are needed. Visit wjcs.com for more information. Amy’s Greenhouse (129 Barnard Road, New Rochelle) will be hosting a memorial service from 10:30 a.m.-1 p.m. for Amy O’Doherty, who died at the World Trade Center on 9/11. Volunteers are needed to welcome attendees, direct them to the auditorium for a short documentary about the greenhouse, and invite them to get refreshments before heading outside to the greenhouse and courtyard, and hand out flags. Visit amysgreenhouse.com for more information. The 2nd annual Art Figur Tour de Shore, a New Rochelle waterfront 2K swim, will take place at 7:15 a.m. at Hudson Park Beach (New Rochelle). Visit http://tinyurl.com/z5xtpge for more information. The City of New Rochelle will host a 9/11 Memorial Candlelight Ceremony at 6 p.m. at City Hall (515 North Avenue). Visit newrochellenewyork.com for more information. The Pelham Jewish Center (452 Esplanade, Pelham Manor) will host an Interfaith Council-sponsored commemoration of those w ho died on 9/11 at 8:15 a.m. Visit thepjc.org for more information. Sheldon Horowitz will present his Sunday morning lecture series at the Pelham Jewish Center at 10 a.m. 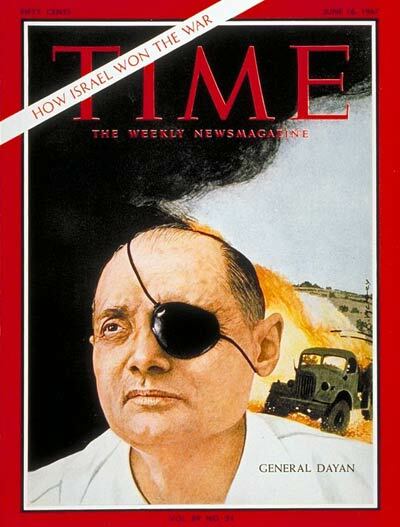 The topic will be biographical Profiles of Moshe Dayan and Ariel Sharon. Visit thepjc.org for more information. Beth-El Synagogue Center (1324 North Avenue, New Rochelle) will present “Growing Up Jewish in Iran, A Musical Journey With Hazan Farrid DardAshti” at 4 p.m. Visit bethelnr.org for more information. The City of White Plains will host a 9/11 Remembrance Service at 9 a.m. in Liberty Park on Lake Street. There will be a flag-raising ceremony, a wreath laying and a prayer service. Visit cityofwhiteplains.com for more information.